Afroz Ali is the Founder and President of Al-Ghazzali Centre for Islamic Sciences & Human Development, based in Sydney, Australia. He is a qualified Imam in the Islamic Tradition, having studied under Traditional Islam and received licence to teach in various Islamic Sciences. His studies have taken him from university-based Islamic University- Madina, Saudi Arabia then moving towards Traditional Scholarship in Yemen, United States and Mauritania, where he has spent considerable time to learn from the most esteemed Rightly Guided Islamic Scholars of our time. He has also travelled to Cairo, Egypt for further studies in Islamic Jurisprudence with Scholars at al-Azhar University and is on the Board of Advisors at Markaz Aleem in Cairo, Egypt. He has presented lectures, workshops and training programs worldwide, including Australia, New Zealand, Malaysia, United States, The Emirates, Egypt, China, Japan and Denmark. He lectures around the world on Islamic Jurisprudence, Spirituality, Ecological Wellbeing, Ethical Rights and Responsibilities, and Personal and Corporate Citizenship. He has also attended numerous western- based motivational and personal development training programs with the likes of Anthony Robbins and Steven Covey. As such, he provides fully commercial corporate training on Team building, Personal Leadership, Change Management, Business Strategy Development and Corporate Ethics. Further, Imam Afroz utilises his corporate training skills to mentor and train community organizations in Community Sustainability Programs, Personal Leadership and Interpersonal Skills, Spiritual Development, Motivation and Goals Setting. He has initiated philanthropic as well as sustainable environment projects in Australia and abroad, and continues to advocate peace, acceptance, justice and interpersonal rights. 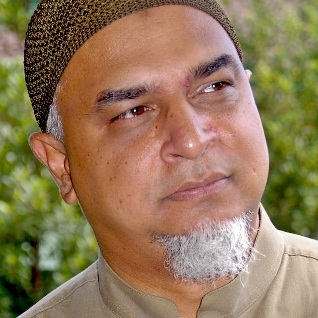 Imam Afroz is a founding member of the Australian Religious Response to Climate Change. He is also the recipient of the International Ambassador for Peace award and is an Australian Ambassador for the Charter for Compassion.